Just Doug is not just about one character. It tells a larger story about race and representation, standing for something much greater than just the story of Doug. On the surface, this series is about a D-list poker player, who wins big at the World Series of Poker and decides to spend his earnings in attempt to become a Hollywood actor. We jump six years into the future only to find Doug working as an extra. And, when he does get his big break, it is one of the most confusing moments of his life, causing an identity crisis as he faces Hollywood stereotypes of great proportions. 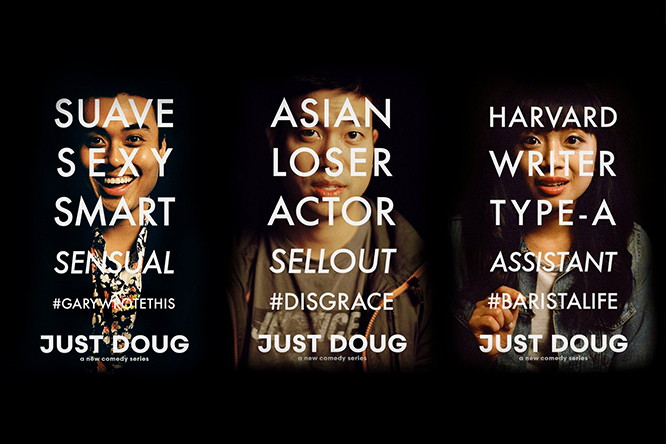 As one of the first premium pickups by Facebook's new Watch platform, Just Doug and its creator Douglas Kim, use comedy to bring some of the harsh realities of race and representation in the media to light. It becomes much bigger than the content itself. And, in working with new platforms like Facebook, we are able to grow a community in new ways, interact with fans, and discuss some of the hard truths surrounding the business we're in. We’ve seen tremendous engagement and support from fans and press outlets around the world. For starters, The Verge says, "Just Doug is one of the few good Facebook Watch series in a sea of clickbait". Due to the success of the show, we followed up the series with poignant and frank round-table discussions between the cast covering topics in Just Doug in greater detail. Throughout the journey of producing and distributing this show, it has become clear to us that stories like this can do something more than just entertain, they can start a conversation and raise awareness around important issues. To watch the series, click here.